Optional expansion module for Panasonic KX-HDV230 and KX-HDV330 IP Phones. 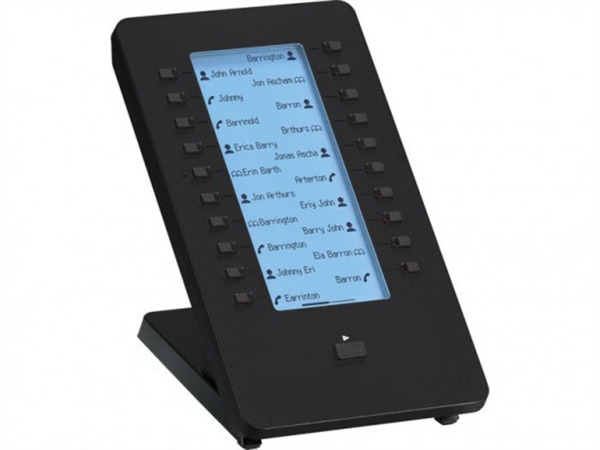 This expansion module works with the Panasonic KX-HDV230, KX-HDV330 or KX-HDV430 SIP Phone to increase the number of function keys, up to 224 in total. LED Hardware Key : 20 x Flexible Function Key LEDs (Red/Blue), 20 x Flexible Function Key LED, 1 x Page toggle Key for self-labeling display. Control interface : 2 x USB signal on RJ11 (6P6C) one is input, another is output. Note: To use the HDV20 the host phone must be powered by a power adapter rather than PoE.